They say things get wilder after dark and this cunning two-in-one lampshade is quirky proof. 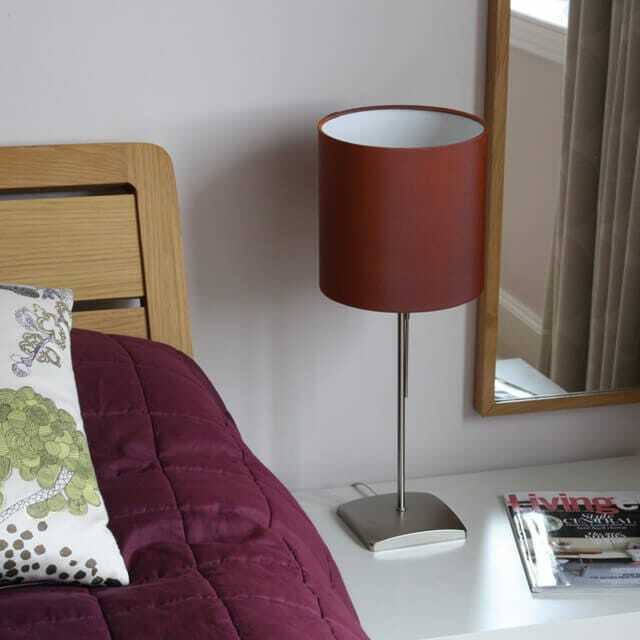 Perfect for a table lamp, the shade is made from lightly textured silk in a warm shade of orange. But there’s more to it than first meets the eye – only when the light is switched on do you see the secret parade of life like moths on the inside. 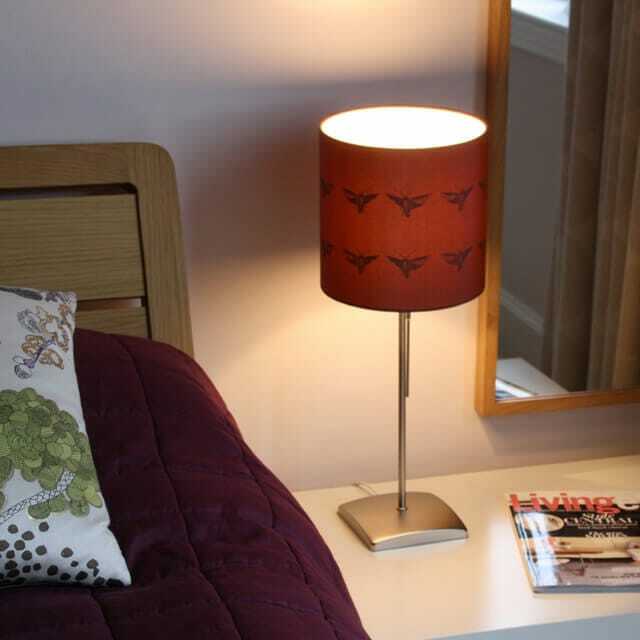 This handcrafted shade is finished in ‘Paprika’ coloured silk with a rolled edge and fitted with a lamp holder ring that enables the shade to attach to a standard table lamp. Due to the delicate nature of the materials, Annette recommends that her shades should not be used in bathrooms, near cookers or anywhere prone to rapid temperature changes. Fine Indian Douppion silk in ‘Paprika’ and graphic interlayer laminated onto PVC backing (complies with BS EN 60598-1-2008) and rolled onto a white painted heavyweight wire frame. Lighting designer Annette Baumann of LICHT id studied Interior Architecture at the Fachhochschule in Coburg before leaving Germany for Scotland and heading to Duncan of Jordanstone College of Art & Design in Dundee to do a degree in Interior & Environmental Design. Inspired by her experiences as a member of the international design team working on the new Scottish Parliament Building in Edinburgh, Annette decided to specialise in lighting design. Annette went on to hone her skills in the studios of several lighting design consultancies, on a creative journey which took her as far afield as Australia. In 2014 she started to create elegant handcrafted lighting with a twist.